Given this special time of the year, we here at Blend Games have decided to treat gamers with a special edition of our weekly battle bout. This match is a battle of fright, a combustion of scares and a collision of fear. Basically, we’re going to give you the choice of voting for the scariest game this Halloween, and it’s between Dead Space and Silent Hill: Homecoming. Since this isn’t just another “Who’s best at” battle bout, we have some new rules implemented for this special scare-tastic event. It’s quite simple, really. Which game seems scarier, and why? I’ll lay out the details, and a trailer for each game. It’s up to you, the reader, to elect the scariest game this Halloween. If you still need more info, just click on the game title to take you to Blend Games’ review of either game. As usual, I’m not going to prattle about with words and phrases no one cares about, so let’s get this show on road. Playing discharged military veteran, Alex Sheppard, players must help find Alex’s missing brother while venturing through the nearly deserted town that the protagonist returns to. The game’s scare-tactics come in the form of mutated humans and demonic bodies. This is also one of the few survival-horror games that features frightening zombie-nurses who all manage to wear miniskirts and low-cleavage uniforms, exposing their surgically enhanced assets. No worries, though, because lusting after the deformed deadites will only get you killed in this game...so the fan-service isn’t very appreciable. The fear-factors, on the other hand, are very well done. 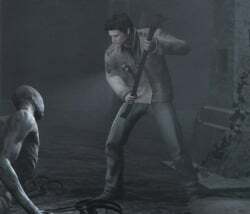 Solidifying amazing lighting, cinematic shots and eerily smooth character animations, Silent Hill: Homecoming embraces survival horror with renewed vigor in an aging series. One of the more frightening aspects of the game is simply the atmospheric detail applied to the fictional surroundings. The lighting and texture work radiate a sickly aura of dread with every room, every building and ever scene Alex steps into. It’s as haunting as anything you could possibly experience in an interactive title. Taking control of Isaac – the silent but deadliest engineer in the galaxy – players must venture through a seemingly abandoned mining ship, when things turn sour. Of course, the ship isn’t abandoned at all, but it’s instead infested with some of the most horrid Necromorphs you’ll encounter that side of space. This frightful gem is a little different from the rest of the survival-horror, breed. For the first time in the history of the genre, players are actually encouraged to engage enemies in order to survive. Dismemberment plays a large part in maintaining one’s combat orientation, and it gives the game a whole new take on enemy engagement. For once, gamers will encounter paranoia, not from what’s to come, but from what they may have already tried to kill. These ghastly monstrosities find new ways to hunt players down in the multi-corridor spaceship, which makes this game all the more scarier. 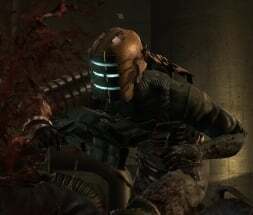 A grimy color palette mixed with blood-thirsty monsters, and the goal of surviving a ship that always seems on the verge of self-destruction, makes Dead Space one of the best horror games ever released in the genre. Both games look pretty scary, eh? So which one takes your vote for being more fear-inducing? Which one puts the money where the scares are? Which game, do you think, is more likely to send your next pair of pants to the hamper, and not because they’re dirty? All right. Enough talk.